HARGEISA (HAN) November 5.2016.Public Diplomacy & Regional Security News. By Mohamed Ghalib Musse. It is very imperative for every Somalilander to realize that our politicians are playing a game with the future of every Somaliland citizen. Today our society is both fragmented and infected with a disease called “Tribalism and Corruption”. It has spread to every corner of the country; no one is spared. Every region in the country is affected by this disease. The corruption is the main obstacle to democracy and the rule of the law. It’s a very hard to develop accountability in such corrupt climate like the political arena of Somaliland. Economically corruption will deplete the national wealth and resources. It’s a extremely difficult task to abolish corruption but it’s not impossible to eradicated from the society. At one point or another most Somalilanders have been, or know of someone who has been, affected or infected by tribalism and/or nepotism in their daily life. Tend to your own, yes, but not to the extent of breaking the law. The definition of the Somaliland Politician or Official is: The embezzlement of property and wealth while holding office, and to get rich on the expenses of public money. It’s a scheme that is allowed by the leaders of present day, and it is all dependent on how devious and mischievous one can be. It is unbelievable. To lie and cheat every single day must be a daunting task that only a dedicated and trained professional with a qualification grade that exceeds that of the common thief would do. You have to be a cunning master planner, pretender, and multi-tasking wizard that can make 40 Millions in less than 5 years. If you are not a thief, liar, or a combination of the two then you are out of luck. You do not qualify for this job, young blood. Do not get annoyed or anxious. Be patient, and your time will come soon, Insha Allah. The Ferengi Rules of Acquisition? I chose the Ferengi rules of acquisition as an example on how similar our system is. The Ferengi believe and abide by the following rules of acquisition. The Ferengi rules of acquisition, originating from the fictional Star Trekuniverse, are a collection of shady and sacred business proverbs followed by the ultra-capitalist race known as the Ferengi. I wonder if something sacred and similar are shared between the thieves in Somaliland and Somalia. 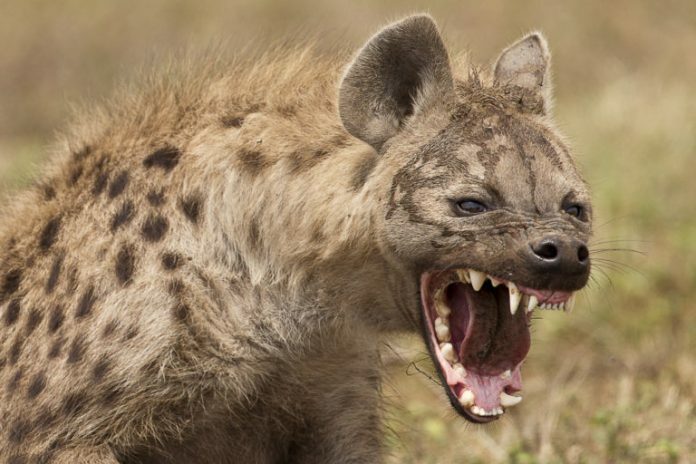 This is a unique comparative to how a Somali politician’s behavior resembles that of the Hyena. The hyena is a skillful carnivorous canine species that hunts and kills in groups; eating everything and leaving nothing behind. They are expert scavengers. Lions are the main enemies of the hyena and the two groups often fight for territory and hunting grounds. Hyenas often steal the food of rival lions as well as kill off the young of their enemies. They have powerful teeth and jaws that will crush every inch of a carcass – including the bones. Do you see the similarity of the Hyena to the Somaliland politicians and other officials at the present day. Positions and status shouldn’t make one to behave in such barbaric manner. Would you entrust a flock of sheep with a hyena? That is absurd, right! We all know who would win this battle. It’s like committing suicide. Be vigilant with your sheep; the hyenas and wolves are coming. The actions of honesty, decency, dignity, kindness, honor, and fairness no longer leave a visible mark on our society. It has been missing in action for a while now. However, hope has not been lost yet. Don’t give up, young blood. The struggle will continue and restoration will be achieved within your lifetime. Until our last breath, we will hold on. It will be a hard and long road ahead, but the people will prevail. Some where between Hargeisa and Berbera. Most of us assume that all Somalilanders share the land and the resources in equal manner, and that the government has divided the wealth of the country according to the neediest regions. Sorry, but that is wrong, young blood. That is not how Hargeisa Finance Minister does the math. If you were to ask someone from Sanaag how the Sanaag Region is doing, you may receive a different answer than if you were asking the same question to someone from the Western Region of Somaliland. In Sanaag they will tell you that what is going on is wrong, unjust, unfair, and that the Hargeisa government’s behavior is absolutely biased. The Sanaag region receives very little attention, and is often misrepresented in the current ruling government. This is fact. People of Sanaag have no say on who will represent them in the government. To become a minister or a government official you are require to have a “deep” pocket so that you can bribe the elders and heads of a tribe. That is how the new representative of Sanaag Region is chosen. What are you going to do when your minister is ignorant? Somaliland needs Sanaag only when a war is declared or during a time of election. In Sanaag, times are rough after a long drought and neglect from Sanaag’s own people. The effects of the drought are visible everywhere. Erigavo city is a ghost town with very little progress or jobs for anyone. There has been no economic boom here (unlike in the capital Hargeisa) and the situation within this city is very dire. The harsh conditions will bring most strong men to their knees. However, when election fever comes to town, the life in Erigavo returns. It’s a different town, but not for long. The policy is hush-hush, and “what happens in Eri stays in Eri”. Severe water shortages and pasture in the Sool plateau of Karkaar, Sanaag, Sool, Nugaal and Bari regions: the teams reported that availability of water will almost be zero in most of the visited villages by end of January 2016. Currently water is scarcely available with only few towns and villages with permanent water sources and some areas with water not suitable for drinking. People started early water trucking in most of these areas and prices are skyrocketing. If you examine how strategic the region of Sanaag is situated, including the wealth of Sanaag Region, then perhaps many heads will turn and the proper attention will be achieved on how important Sanaag region is to many parties in the region. Hypothetically speaking, what if Sanaag abandoned unity with Somaliland and declared autonomous independence apart from Somaliland and Somalia? They could set forth conditions that state that until Sanaag region is financially independent, economically strong, and has attained a basic health care plan for everyone in the region, Sanaag will remain separate from Somaliland. The region could govern itself and could be known as The Autonomous Region of Sanaag. I am confident that if Sanaag stood alone, it would not only prosper, but flourish as well. It is the perfect scenario that the Sanaag region could play out and ultimately hold the upper hand in. However, this is only hypothetically speaking. I am proud to say that I am from Sanaag, and that the people of the Sanaag Region are truly patriotic towards their country. Without them standing guard, the country of Somaliland would not exist, and that is a hard fact, my young blood. I am against the hypocrisy of the two-faced Somaliland political system. 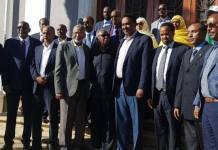 It was only a few months ago that a large group of Somali government ministers walked away from their responsibility and duty; choosing their own political status over the interest of their country. They had committed treason in my book. This mass resignation was intentionally done to overthrow the government, and an attempt to damage the unity of the nation of Somaliland. How can we trust a person who had not only abandoned his/her post, but had also committed treason to topple over the government that we, the people, had elected? If this was a military institution and a soldier had cowardly abandoned his post during a time of war, he would be tried in a military tribunal court for treason. In this case, the usual verdict would be the death penalty. The definition of the phrase Penalty for Desertion is: a maximum punishment of dishonorable discharge, forfeiture of all pay, and confinement of five years. For desertion during a time of war, however, the death penalty may be applied (at the discretion of the court-martial) (Wiki Facts). Chairman of the Wadani party and the Speaker of the House of Representatives, Abdirahman Mohamed Abdullahia (Cirro), called it a victory for Somaliland and the Wadani party. The Wadani party welcomed most of the traitors that were defected from the current government of President Silanyo, among them was the President Silanyo’s right hand man, the mastermind of the mass desertion of the ministers from Silanyo’s cabinet, Ex Minister of the Presidency office and loyal trustee of President Silanyo, Mr. Hersi Ali Hassan and the former Minister of Foreign affairs of Somaliland, Mr. Yonis Bihi, were welcomed by Wadani party supporters on a Red carpet and the Chairman of the Wadani party and the Speaker of the House of Representatives, Abdirahman Mohamed Abdullahia (Cirro), called it a victory for Somaliland and the Wadani party. Here we are again (GaramGaram) at another road block. We must be bloody fools to fall for this trap once more, and we did not see it coming. How did this happen? Do not lose hope yet, young blood. Sooner or later there will be accountability and there will be a judgment day. The guilty and the corrupt politicians will go to jail for the first time in the history of Somaliland, and that is a promise. The only party that was supposed to save Somaliland from the corruptions and tribalism had been killed and buried by the traitors within the party. The UCID Party is the hope and the inspiration of most of the young blood of Somaliland. We all want to live in a country that is for all (Somalilanders) and that will provide us with security, justice, fairness and leaders/officials that are accountable for their actions. I want a patriotic leader that will care for the people of this country; not one that will sell me out to the higher bidder. I want someone who is aware of his first priorities and will invest in our youth by creating new jobs for all Somalilanders. I want someone who will stand up against big corporations and businesses and eliminate corruption. I want someone who is pro-justice for the people and will abide by the law of the land by respecting the constitutions of Somaliland. Our country needs a leader that will not live in luxury while his citizens live hungry. According to a very reliable source, the presidential palace spends nearly 10,000 USD a month on food alone. Wow, that is a lot of food. I want a leader who will not bend the law when it suits him someone who will be not corrupted and will fear the almighty creator Allah before any action. My needs are little, but the needs of the majority are much greater. We have to work towards a common goal to create a better tomorrow for our children and their children. Working together is the key to achieving a better country for all of us. Let us go over the hurdles and step over the obstacles, and make the dream of a better tomorrow into a reality. This is our country no matter where we go. It does not matter where you are in this world. This is where we all hail from. This dusty land located on the east side of Africa is called Somaliland and it is our home. It is worth dying for. All the great things that Somaliland has accomplished are evidence to our perseverance and determination to exist as a country. That is our right, young blood. The biggest story is the outcome of the election in 2017. Predictions point to the Wadani party winning the election unless a surprise win by the ruling party Kulmiye is achieved. Anything is possible, my young blood. The cards have already been played and the players are set to move. I am predicting a very gloomy future for the motherland in the next 5 years if either Wadani or Kulmiye wins the election. We are headed towards a very difficult time. Just like in the American presidential election, having only a choice between Hillary and Trump, our options are limited Cirro or Bihi?. The next five years will bring more injustice, a sharp increase in corruption, embezzlement, and an abuse of power by officials as usual. Always remember that the freedom and peace that we enjoy so much today was not a cheap earning. Blood and tears were shed for this. I am against violence in any way, shape or form, and I believe that our objective can be achieved through dialog and peaceful negotiations without a need to resort to war or violence. Maintaining the peace that Somaliland enjoys and pride itself with was a hard earn. This peace took many years to build and nourish, and to keep it was even harder. Without the effort and the hard work of all of the people of Somaliland, this peace wouldn’t be possible after all these years. The people of Somaliland chose peace over war no matter the cost of the sacrifice. Somaliland during its existence in the last 25 years demonstrated to be model citizen in the world community and behaved very well considering how volatile the region is. Surprisingly, the reward Somaliland got from the International Community was really absurd and poor, our effort where ignored for now: after all the hard work we put on the campaign of the recognition of Somaliland for 25 Years, we failed to attract enough attention to our cause. We will continue to campaign for the recognition of Somaliland, We will never give up, where there is a will there is always a way. I guess peace is boring and not as attractive as war and terrorism; there is no destruction of life and loud explosions, missile-guided bombs in buildings. With all the spy games that is going around, Wiki leak and all the contradictions and the hypocrisy between the world nations. The world considers peace to be boring, not fun, and definitely not profitable it’s only interesting when it suits their interest. There is always a hidden agenda to consider with the international community or any other foreign entity: their Interest is first for that reason caution must be exercised when dealing and negotiating with them. For the international community to consider our application for recognition, one must demonstrate higher ethical standards according to the International community. Corruptions and nepotism must be purged from within the Government and the punishment for corruption should be sever. The rights of women should be respected and the International Human Rights respected in the country. Our location on the map is also a big reason for our troubles and struggle to achieve what the majority of Somaliland inhabitants want: to annex from Somalia, period. Look around our neighborhood. We are surrounded by sharks and it is not a friendly neighborhood. Djibouti, Ethiopia, the Puntland State of Somalia, and the Somalia government: who are our allies in East Africa? Why South Sudan? On June 26, 1960, Somaliland was a country for four days (the 27th, 28th, 29th, and 30th ) and on July 1, 1960, we joined Somalia voluntarily and gave away our sovereignty. In 1991, Somaliland was declared independent for the second time, but this time things are very different the game and the players are different. The argument that Somaliland is breaking the colonial border is ridiculous and silly at best, actually we are trying to fix the colonial border by annexing from Somalia just before the union with Somalia in 1960. During the last 25 years, every Somaliland Government that came to power established a committee to support a campaign for Somaliland’s recognition. After every presidential election new government comes to power and with all the excitement we forget the recognition campaign. They all failed for that simple reason. In order to strengthen the effectiveness of the campaign new tactics had to be established to keep forward the campaign. The Institution for Somaliland Recognition Affairs should be a permanent separate entity that is independent and funded by the government of Somaliland. This Institution should only answer to a sitting President and to the two houses of Somaliland, the House of the representatives and the House of the Elders. In every ten years new committee than should be elected, until Somaliland achieves recognition or other solutions are found. Steps have to be initiated to formulate a solid effective plan to choose an International Legal Firm to represent a Somaliland case in the International Court of Justice or International Court of Human Rights at the Hague and argue our case. Currently the working Committee for the recognition was formed this year by President Silanyo’s government. The Committee so far is showing some slow progress and it’s unknown if a legal team has been formed yet to represent the case, it is incommunicado so far and there is no progress report. The Somaliland Government should confirm its position on the crucial ongoing talks and negotiation with the Somalia government, and please clarify the progress of the negotiations with the Turkish Government. If we are committed to succeed and permanently divorce from Somalia, absolute we should negotiate with the Somalia Government on how we can solve the dispute between us. That first steps to the road of the recognition is to talk with Moqdisho Government, nothing is wrong with opening dialog to achieve an objective that will bear fruits on both sides. This will bring understanding and development. Our interest should come first when we sit-down and negotiating with our neighbors. The last 10 months in several occasions, peace was attacked and perhaps even tested in Somaliland and Ethiopia in border disputes, but with the quick action on both sides governments, the matter was resolved in a peaceful manner and all war was averted. Ogadenia or the Kilinka Shanaad of Ethiopia is the new front to keep an eye on. Sometimes you have to accept defeat to safeguard and keep the peace you have. Thank you for reading, I hope this article was informative and entertaining for you.